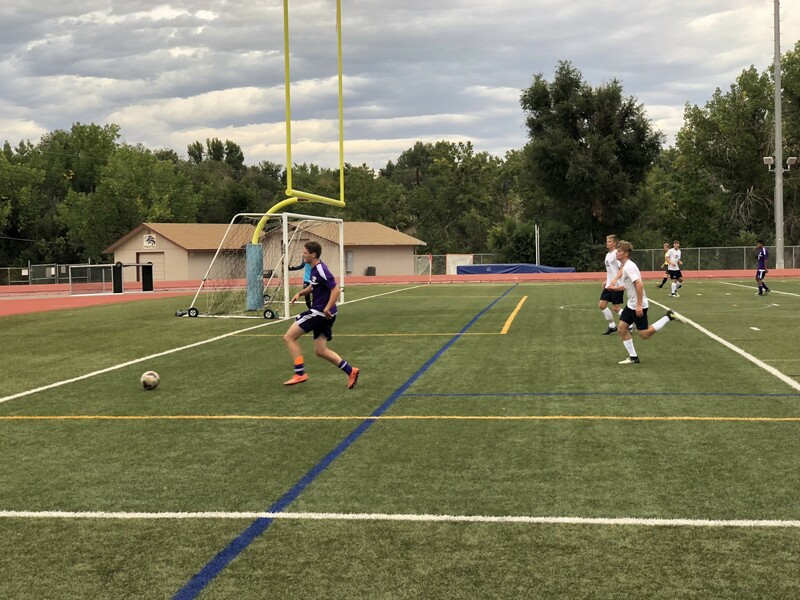 Thursday August 30, the Littleton Lions boys soccer team faced the Ralston Valley Mustangs in their first home game of the season. While the game was full of intensity, the final score was 2-1 as they suffered their second loss of the season. Captain Ruben Cervantes doing a throw in. The game started off with big moves from the Littleton Lions. 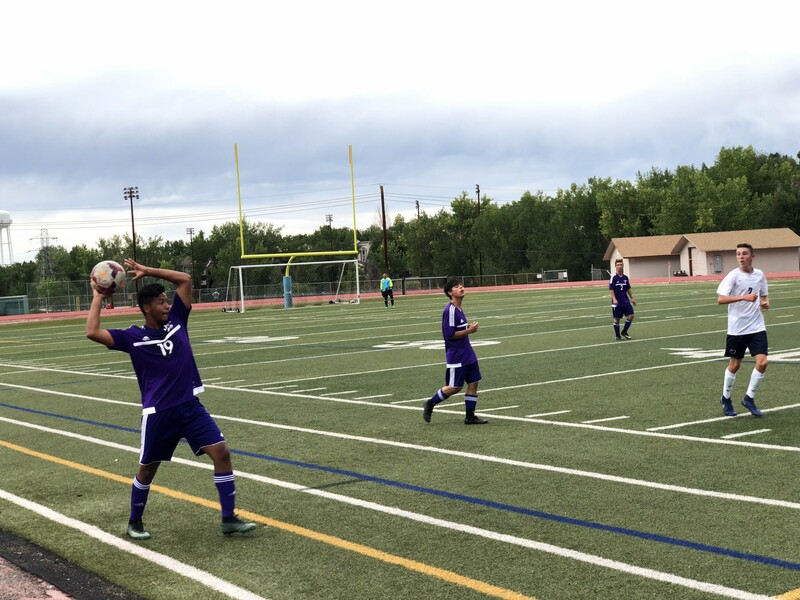 Within the first 10 minutes of the game, senior Kevin Gutierrez and Captain Ruben Cervantes attempted to score but were inches short of a goal. This caused both teams to step up their aggressiveness and effort throughout the game. The boldness from both teams resulted in a few fouls on both sides. In the first half, senior Brandon Tellez received two fouls and gave up the ball to the opposing team. The more fouls both teams got, the more the Lions started to lose focus. The Littleton Lions gave up a goal in the first half and short there after, the Mustangs became more efficient with their passes and communication, while the Lions fell short. The half ended with the score 1-0. Second half, the Lions were able to bring more intensity to the game. They pushed their way through their opponents and managed to keep the ball up the field for most of the game. There were more opportunities to take the ball up the field. Cervantes attempted to cross the ball many times but the team was unsuccessful in taking the opportunity to shoot. Senior Nate Ryan taking the ball up the field. The Mustang’s goalie blocked all attempts taken on goal. Every time he kicked the ball up, our defense was there to take the ball out of the back with multiple headers from senior Grant Foster and big kicks from the outside defense. 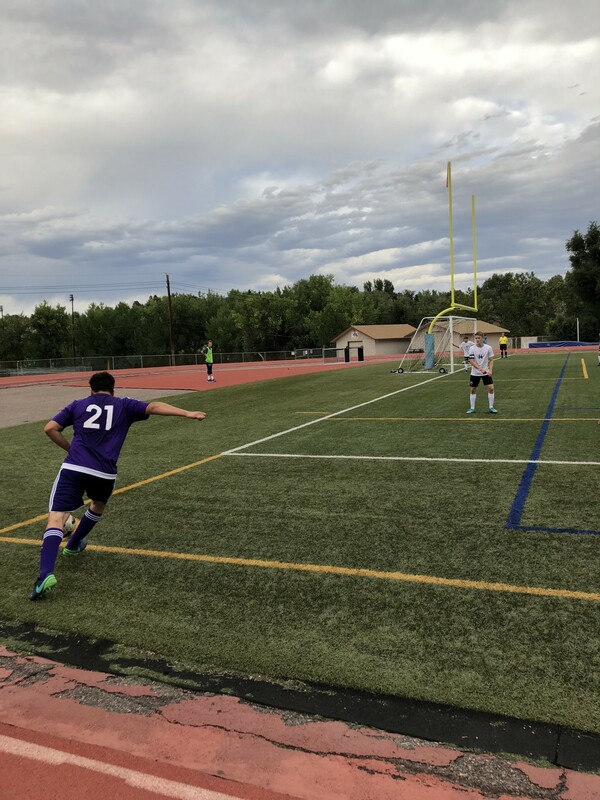 As the defense was there to kick the ball out, the forwards from the opposing team found a gap and took Littleton’s goalie Enrique Ramos by surprise. They took a kick to the lower corner of the goal and scored. The game was full of ups and downs for the Lions. Players were getting worn out and it became more difficult for them to get the ball past the Mustangs. “ I got tired during the second half, so I probably need to work on my conditioning,” said senior Kevin Gutierrez. Senior Brandon Tellez taking a corner kick. Senior captain Omar Serrano struggled to keep players off of him and with just 6 minutes left of the game, he got fouled and was able to score off a penalty kick. “When we were down 2-0, we kept coming back, and then we scored. I thought we put them under a lot of pressure so I think that was terrific for us,”” said coach Mike Montgomery. The Lions were not able to catch up in time, and the game ended with a final score of 2-1. “I thought we played with all our hearts, and that we played really good,” said Gutierrez. The lions will continue to play 5A schools throughout the season, so the lions plan to focus on improving and adjusting their game. “ We really competed and left it all out there on the field. We just want to work on being more consistent, and just try to be better the whole game,” said Montgomery. The next game will take place on Tuesday at the LHS stadium with times still to be determined.